Good things come in small packages. 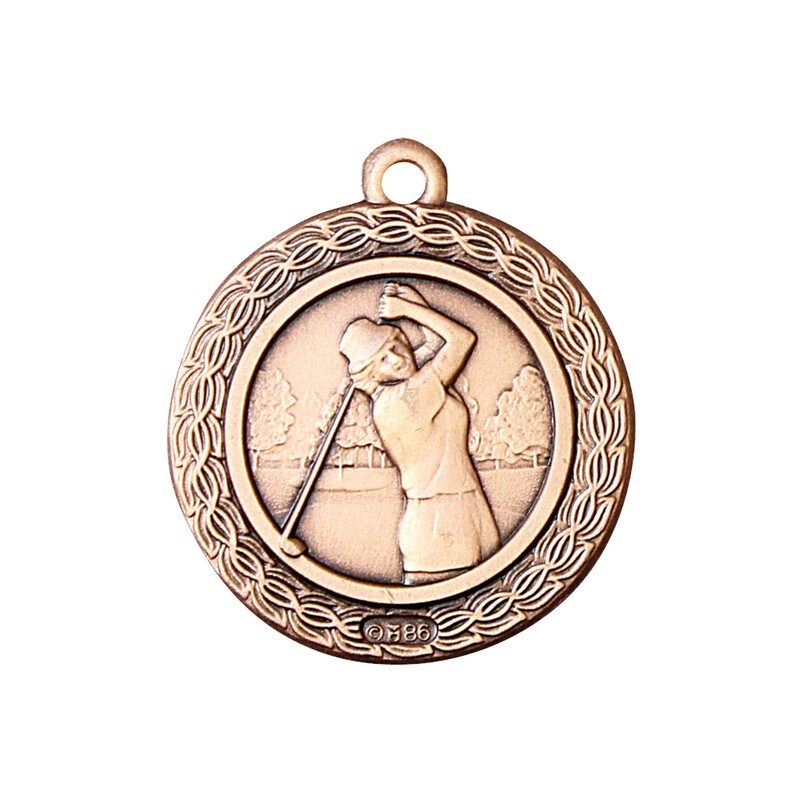 The Premium Small Female Golf Medallion is an elegant and artful medal made of the highest quality metal. 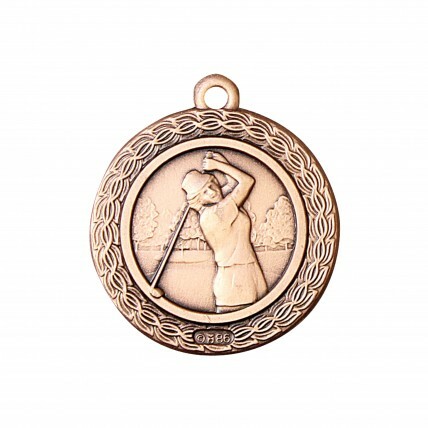 This classy medal features an antiqued image of a female golfer in mid-swing bordered with a victory wreath. 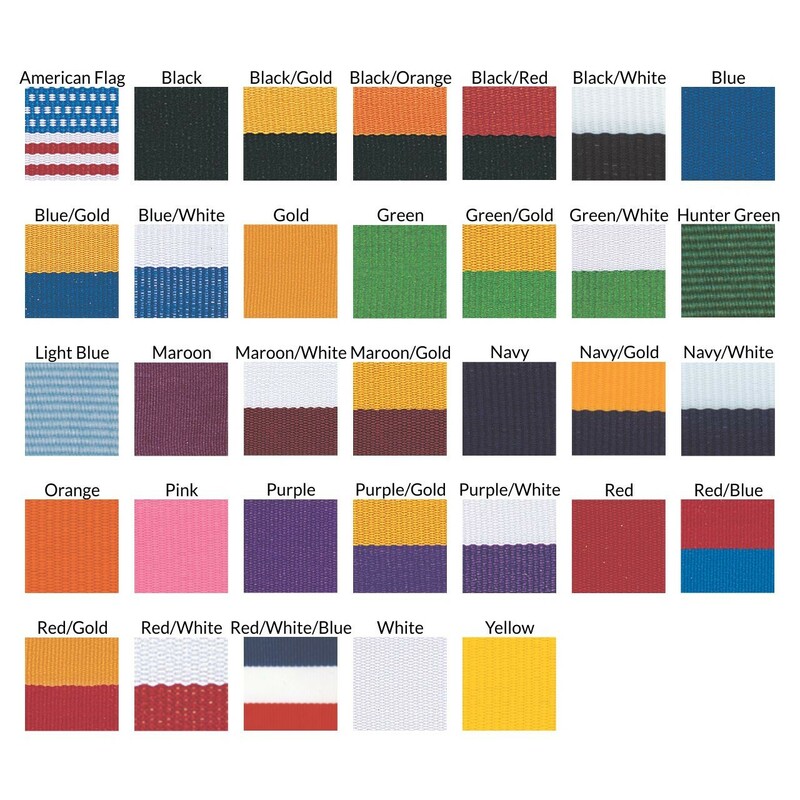 It is available with your choice of neck drape color and three lines of your custom text will be engraved on the back.